Rivera Clubster vs. Fender ? Discussion in 'Amps and Cabs' started by daacrusher2001, Jun 8, 2008. Just curious if any of you own the Clubster 25 and what Fender amp you might think it compares to? I was going to get a Blues Jr., but played a Clubster today (never saw one in a store until today) and I thought it was a great sounding amp. I don't play anywhere but home or occasionally at a friends house, so I'm not looking for an amp to gig with. Just a good sounding tube amp that I can play at low enough volumes to use at home. I was seriously considering one at one point. I tried it as well as the Pubster. I couldn't get a good clean sound out of it at any volume. At first, the salesman argued with me that they had good cleans but in the end he was unable to dial a proper clean either and eventually recommended an Ampeg instead. I think one of the problems lies in what different people consider a clean sound. In my opinion, if you want Fender cleans, you should buy a Fender. I thought the drive channel was pretty aggressive. Not necessarily the sound that I'm after, but then again, I play clean 95% of the time and my crunch sound is cleaner than some people's clean. The Riveras appear to be built well, although they are not point-to-point. I have a Rivera Clubster 25 Doce and like the cleans it produces. It has 6V6, 25 watts, 1X12, and is 38 pounds ... so it most closely in specs compares to the DRRI. The clubster has two channels though. If, by Fender cleans you mean a 6L6 amp, then you should get an HRDX, Super, Twin, etc. The Clubster's cleans were perfect for me and what I particularly liked was its ability to produce a tight, solid, clean bass at low volume, which I feel is a weak point with a stock DRRI. I happen to play a lot of muted low notes which is a forte of the clubster. They are built like a tank have an effects loop. The gain channel takes some learning, but I found that it works fine for the limited use I give it. The presence control on the clean channel controls the amount of grit you add. I play the amp at just over 2 at home and find it the perfect basement amp. I only play at home and my last four amps were a Mesa Lonestar Classic head and 2X12 cabinet, Mesa Express 5:50 2X12, Fender Twin, and Fender HRDX. At my low volume level, I consider the Clubster the best of the five. It compares to the Super Champ; it is an evolution of that amp. These days you might compare it to the Super Champ XD. And for the money, that Super Champ XD is not a bad deal. Dunno if it has the clean sound that the Clubster does though. By the way I agree that the Clubster is nicer than the Blues Junior. I have to go play the Clubster again. I've been playing just through powered monitors using a mfx box, which is ok, but there's nothing like that real tube sound. I thought the blues jr. would do the trick, until I stumbled across this Rivera. I much preferred the 1X12 version over the 1X10 version of the Clubster. To get a clean sound on the Rivera you need to dime the master volume and then bring up the pre-amp/gain volume slowly, like a "master volume." I have a Rivera Chubster 40 and have gigged it hard for 8 years with no problems. Awesome amps, and HUGE sound for the money. Built like tanks. Every time I have my tubes replaced and amp biased my tech comments on what a well built amp the Chubster is. It compares to a DRRI, but it's a llittle smaller. I personally think the Chubster 40 is one of the better more versatile small 12" 1x12 amps for the money that you can buy. Rivera has created essentially an amp that's sort of a hybrid of Marshall and Fender, It's not going to sound like either, but it's less so a hot rod of either. You can get a good clean and good overdrive. Solid good tone all the way around. Most fenders are much brighter out of the box for the most part, but some people dislike that anyway. 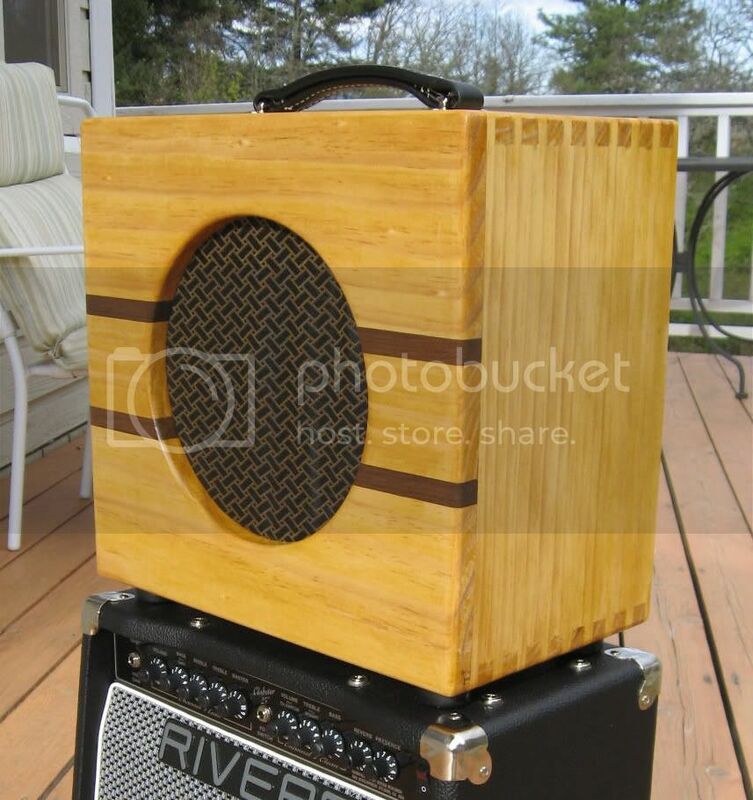 Rivera's generally are very versatile good sounding, easy to learn amps, I think if you wanted to change speakers or use a cab out you could get a different sound. The Rake head was a heck of a lot of fun. The Hot Rod deluxes are nice amps but they need the Omega Mods (or some other facimili) to be useable for channel switching at all, and they work best with better speakers than they include stock. I wish they made those amps as stripped down single channel versions with a good verb and tremolo. Most of my favorite Fender amps tend to be the simplest. The Clubster uses solid state for is extra gain stages in the OD channel -not tube. Just pointing this out -I dont really want to hear from the "well you use a pedal for dirt and it doesnt bother you" crowd. Its just that most people think its an "all tube amp". For a little bit more you can get a Rivera Chubster. Of coarse if your aware of this, it sounds good and it doesnt concern you then its no matter. What would that combination be, if I may ask? IMO, That's a lot of modding for an amp of that caliber. I owned a Clubster 45 for about a year. Just couldnt bond with it. For me the OD channel was lacking for my tastes. I actually thought the clean channel was very nice. Maybe not Fender clean but very usable. However I dont agree with it being the closest thing to a Marshall and Fender in one amp. Thats what sold me on it but I made a mistake. Rockon1 and others tried to help me with with some issues to no avail. It DID really bother me that there were anoly 2 preamp tubes. I did feel a little mislead by the "all tube" description. Tried speaker change and tube change. Still wasnt happy. I felt like I shouldnt have to do all that right out of the box. To me, $1150 brand new is a lot for this amp. Dont get me wrong, it was probably the most well built amp I ever owned but that really doesnt matter if you dont like the sound. I probably am more geared toward a K-TRE. I have now been converted to a Traynor. just got a new YCS50 for $600 brand new and its the best sounding amp Ive ever played for the $$$. Its nice to say that I am now totally happy with my amp. Its been a long time since I could do that. Modding might not be quite the right term- Riveras are very tube sensitive amps, so switching preamp tubes is a big part of it. If you're changing speakers, it's definitely more expensive, but you're not changing the basic circuits. I changed preamp tubes in my Chubster and the speaker, and I've been really happy with it for a long time. I tend to like to tinker with amps, though. I had the c25 1x10. With a Weber Ceramic Sig 10S on the clean channel it could get close to PR/DR territory. Plenty of swat for jams, and through an external cab for gigs. I sold mine mainly due to GAS, but I think there are better amps out there. The knock on Rivs was true for me--pretty versatile but not a lot of MOJO. Probably doesn't help you much, but I had a Clubster 25 1-10 for a while. It was okay for a small home/grab & go amp, but I wound up selling it and going with one of the Princeton Reverb RIs last year. The clean tone is warmer than the Clubster. The gain sound - I usually go for a "classic rock" low-to-medium gain sound and I can dial that up just as well if not a bit better with a Fulldrive II pedal. Plus, the "boost" on the Clubster wasn't footswitchable; the Fulldrive has a boost stage. Of course the Clubster could be set to peel the paint from the walls with the internal gain and boost, but that just wasn't what I was going for. Which tubes do Riveras like the best, based on your experience?